just a little sneak preview of the cover art by Sketchy McDrawpants. 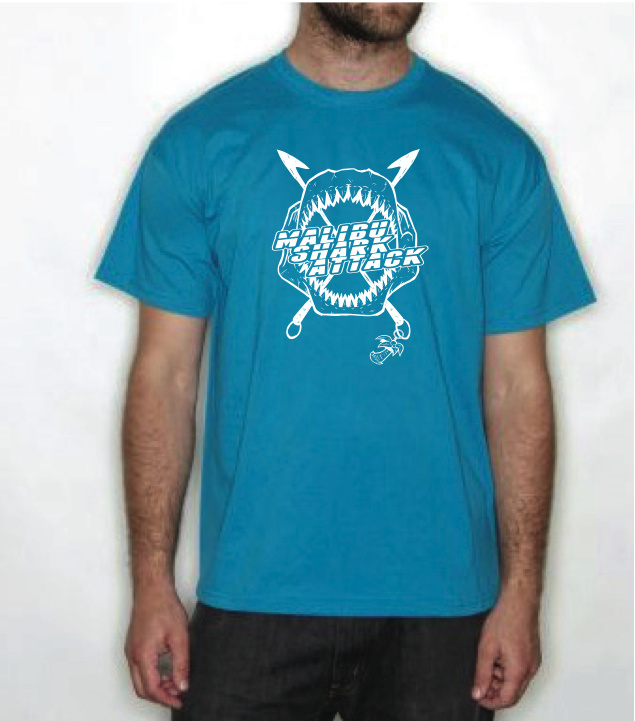 I’m also going have these awesome new Malibu Shark Attack shirts, designed by the homey Joe Hunter. Earlier in the month I’m going to be joining my friends Ceschi and Mikal kHill as they tour through Atlanta on August 5th at WonderRoot. I’ll be doing a Malibu Shark Attack live band performance during kHill’s set so start preparing yourselves now. It’s seriously going to rule. PLEASE NOTE: I’m actually not going to be at Orlando Nerd Fest on the weekend of August 7th – 11th. Instead, I’m going to be at Otakon with my good friend Adam WarRock for a weekend of rap, anime and awesomeness. If you’re going to Nerd Fest have a great time and tell everybody hello for me! This entry was posted in Uncategorized and tagged crisis, malibu shark attack, new music, tour. Bookmark the permalink. Caught your show tonight at Joystick Gamebar. Just stumbled across your blog and now I’m giving it a read while giving your new EP a spin. Great work.